The Gospel reading today continues in Luke. Jesus has been teaching his disciples and an ever growing crowd how to pray, he has been casting out demons and illustrating how to distinguish a heart for God from an evil spirit. He has been teaching in parables and from Scripture. In short, he has been packing a punch and I suspect those fortunate enough to walk with him were awe-struck. So, I wonder what it would have been like to the woman in this passage who is rebuked by Jesus in front of everyone. Surely, she offered her praise of Jesus’s mother genuinely. And also, she must have offered it with some level of confidence that Jesus would not only accept, but also approve her praising Mary. And so too, her – Jesus would see her as a God-fearing, loving, dare I say, obedient woman of God. The Law, after all, is clear about ‘honoring’ mothers (and fathers). 26‘Whoever comes to me and does not hate father and mother, wife and children, brothers and sisters, yes, and even life itself, cannot be my disciple. Jesus turns the question back around once again. Jesus turns over the tables. Jesus breaks through the Law. As he does over and over and over again. Jesus forces us – forced this woman – to see that “boundaries,” like motherhood, are simply “conventions waiting to be transcended.” * Boundaries are simply conventions waiting to be transcended. The Law is replete with boundaries. And Jesus came to transcend all of them. All of them. In the open, broad place – in God’s kingdom – there are no boundaries. *The most powerful line in an otherwise weak film, Cloud Atlas, totally jumped out at me then and came to mind this morning as a whisper from the Spirit in the Gospel reading. 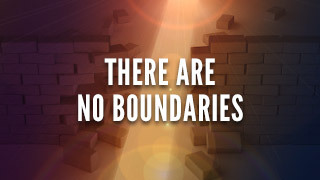 Boundaries are simply conventions waiting to be transcended. This entry was posted in Whispers and tagged broad place, Gospel, Jesus, lectionary readings. Bookmark the permalink.